Medjool dates act as both the sweetener and binder in this vegan, egg-free recipe. 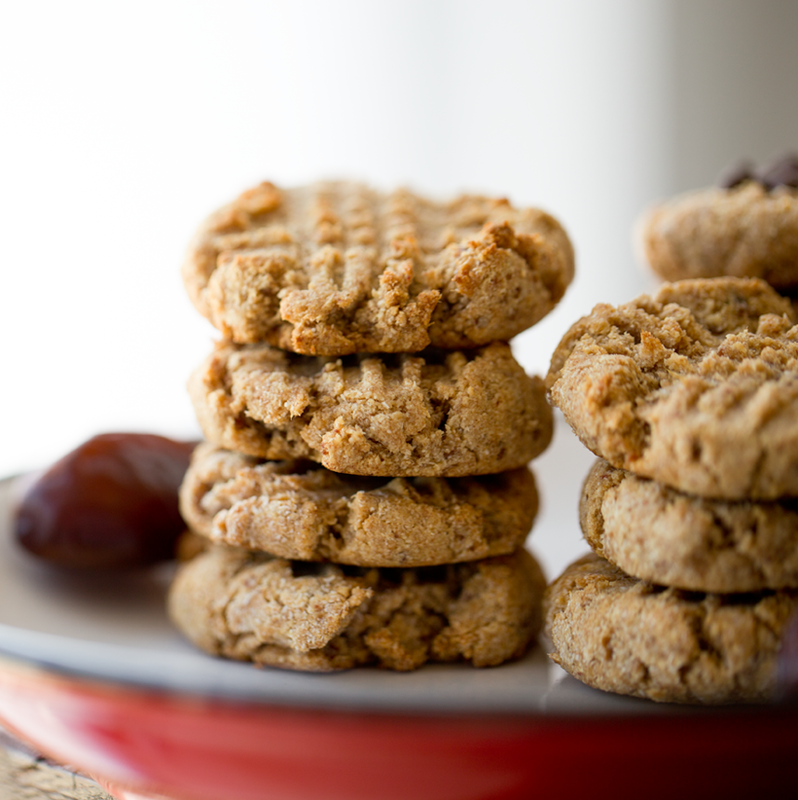 By soaking the dates they take on a wonderful sticky, fiber-ful texture and add so much to these cookies! 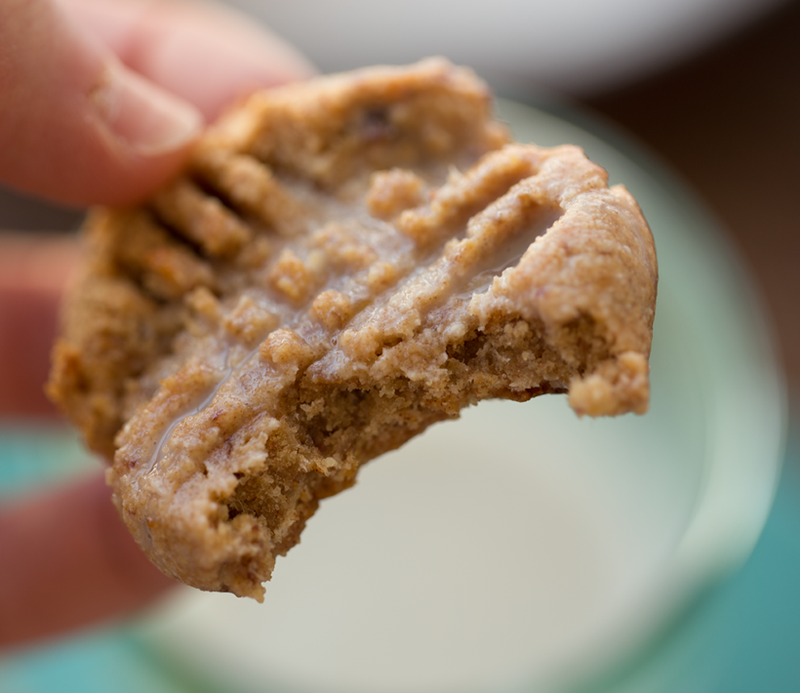 I love the natural date sweetness combined with rich nutty peanut butter. I love these cookies served slightly warm, alongside a glass of chilled almond milk..
Add vegan chocolate chips if you'd like.. Naturally Sweet. 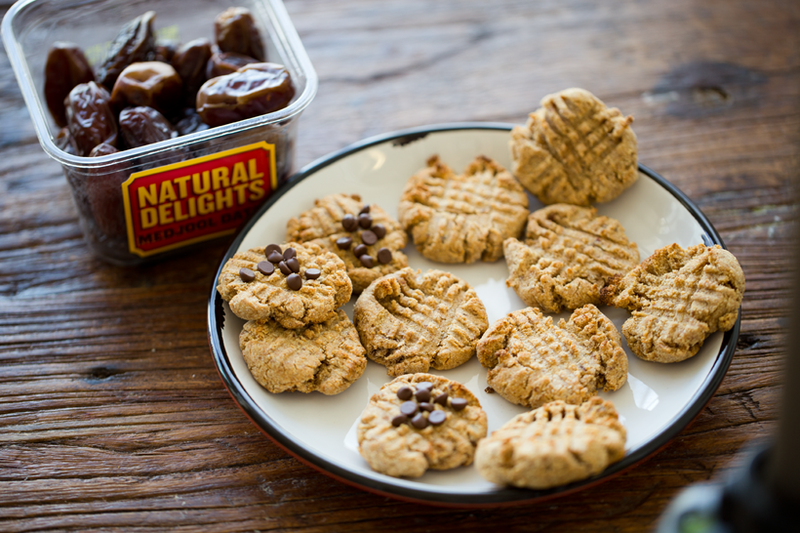 I love experimenting with no-sugar-added dessert recipes using Natural Delights Medjool dates. This one was a winner!.. (Seriously, I have made three batches of these in the past few weeks. Now for some fun bonus stuff..
Who wants a free decadent desserts e-book? Let me help you decide this one.. If you love chocolate truffles, creamy berry ice cream, glazed lemon cake, strawberry crisp, tarts, chocolate fudgsicles and more, this e-book will be a treat for you and your family. 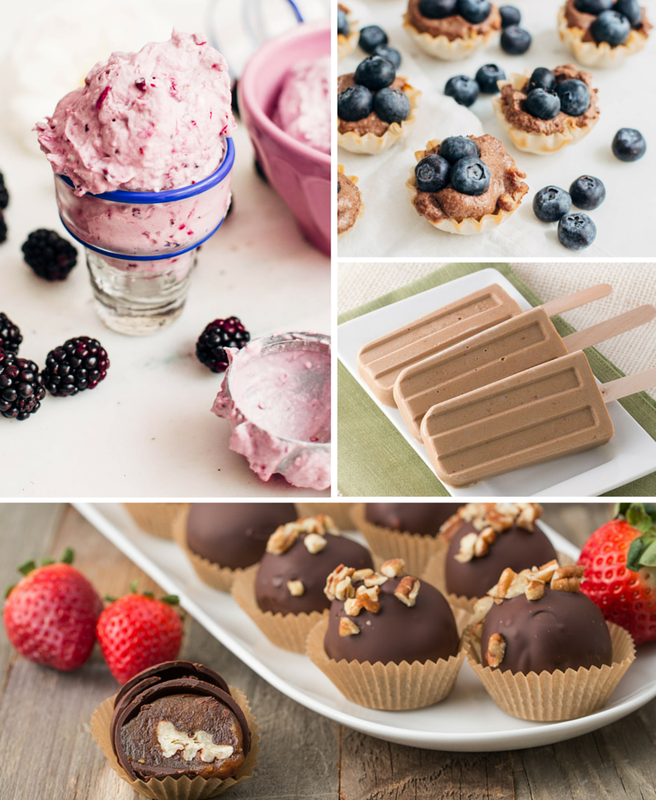 This free Vegan Decadent Desserts E-book is brought to you by my collaboration with three of my favorite produce brands: California Giant, Natural Delights Medjool Dates and Duda Farm Fresh, aka Dandy. 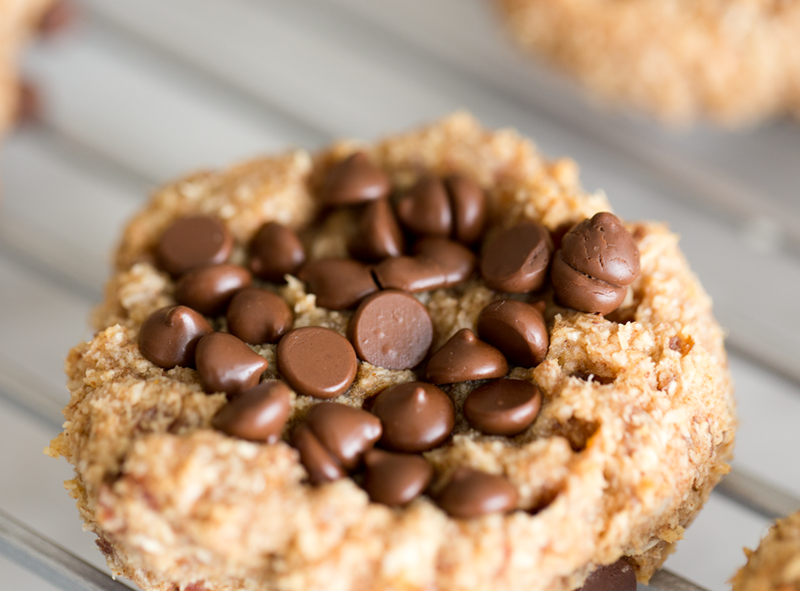 If you download our free e-book, you are eligible to enter my $200 vegan baking giveaway!.. The Giveaway Prize ($200 value): Williams-Sonoma Goldtouch® Nonstick 6-Piece Essentials Bakeware Set, my Healthy Happy Vegan Kitchen cookbook, Chloe's Vegan Desserts cookbook (one of my personal fave vegan baking cookbooks) and also a bunch of fresh produce goodies from California Giant, Natural Delights Medjool Dates and Duda Farm Fresh. Giveaway ends 5/17. Enter giveaway at the bottom of this post. 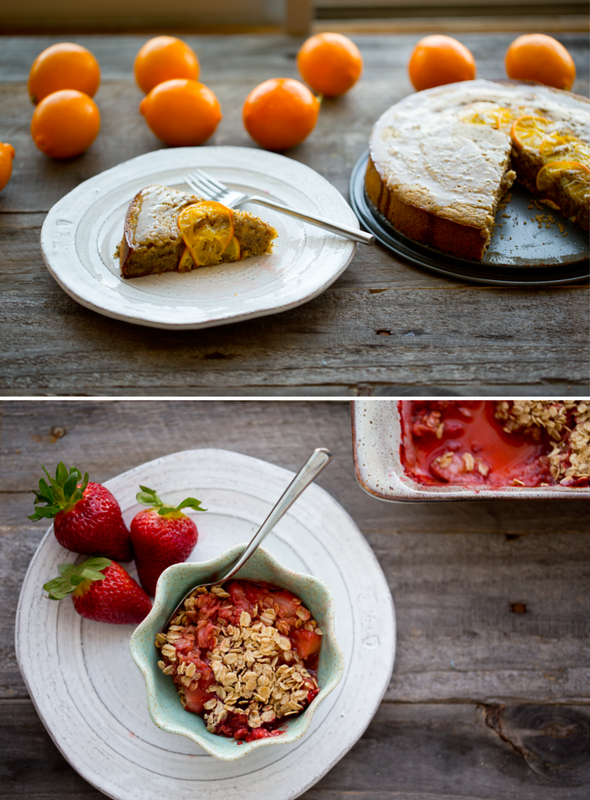 Check out a preview of some of the recipes in Vegan Decadent Desserts..
..get these recipes in the ebook: Get it here! 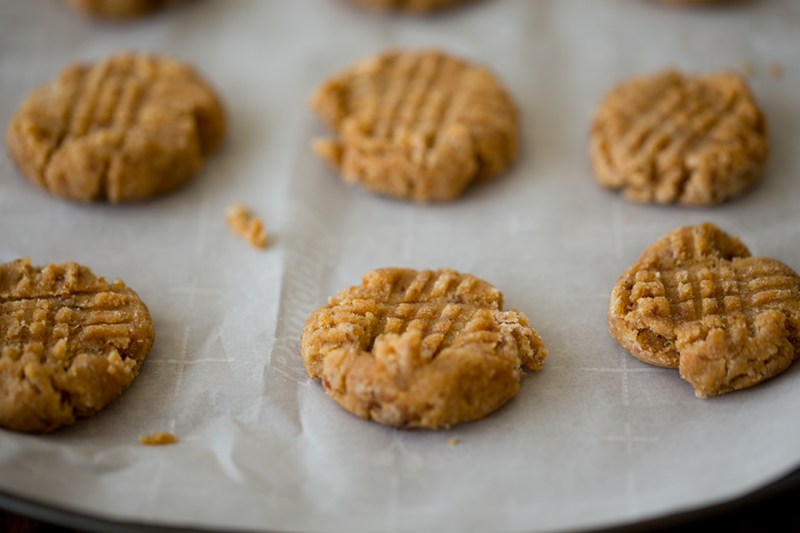 These super easy and healthy peanut butter cookies are made using coconut, Medjool dates and creamy-delicious peanut butter. So easy and delicious! 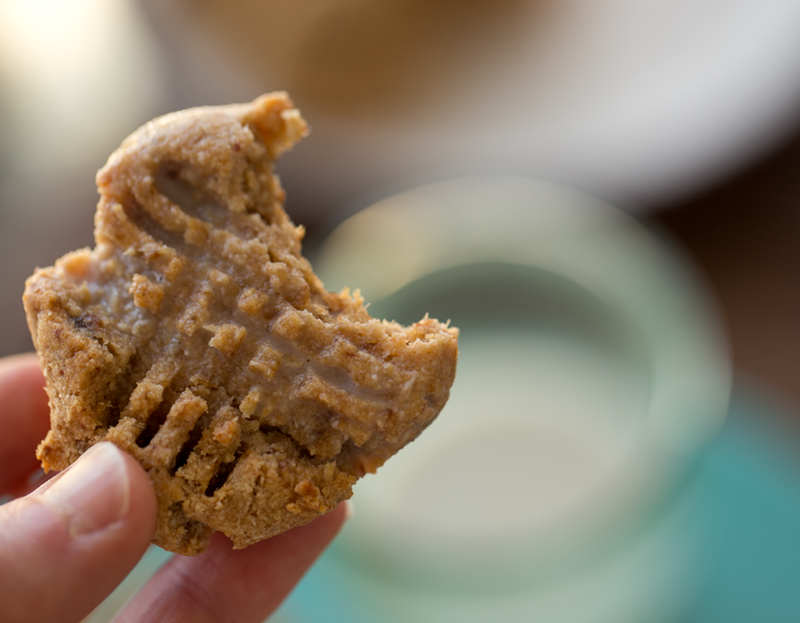 1/3 cup salted peanut butter (crunchy or creamy) -- almond butter or sun butter works too! DIY coconut flour: I made my own coconut flour by blending low-fat coconut shreds in my Vitamix from low to high until a fine powder formed. To make date paste: add all the pitted/soaked/drained Medjool dates to a high speed blender. start blending from low to high, scraping down the sides ever minute or so. Add in 1-2 Tbsp water if needed to blend -- this is usually needed if your dates were extra dry or did not soak long enough. Note: Your paste does not need to be perfectly smooth and creamy - it can be slightly lumpy if you don't mind those textures in your cookies. Another tip: If you don't mind adding oil, you can add 1 Tbsp melted coconut oil to the date paste to help smooth things out and make it a bit richer. In a large mixing bowl, combine the date paste and the peanut butter. Then fold in any optional ingredients like the vanilla extract and vinegar and baking powder combo. 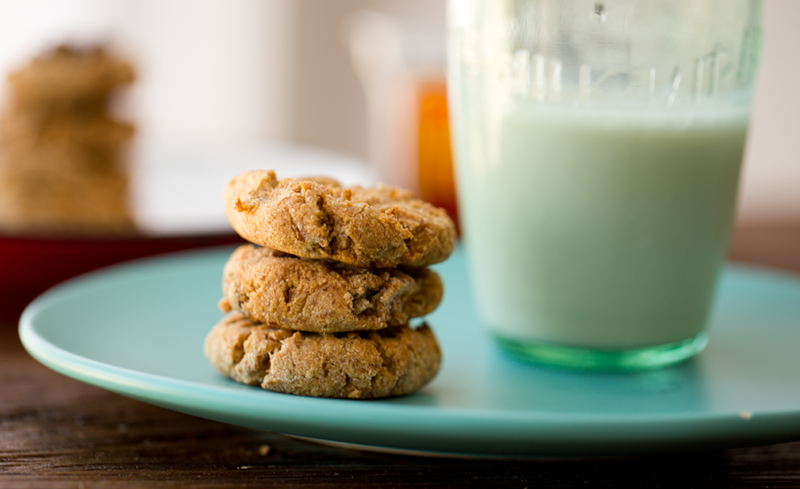 (The vinegar and baking powder make your cookies a bit fluffier.) Now fold in the coconut flour. If your dough feels a bit too thick or dry, you can fold in the optional 2 tsp warm water. The dough should be similar to a traditional cookie dough, with a bit more texture. Finally, fold in the optional chocolate chips. Roll your dough into balls and place on the baking sheet. 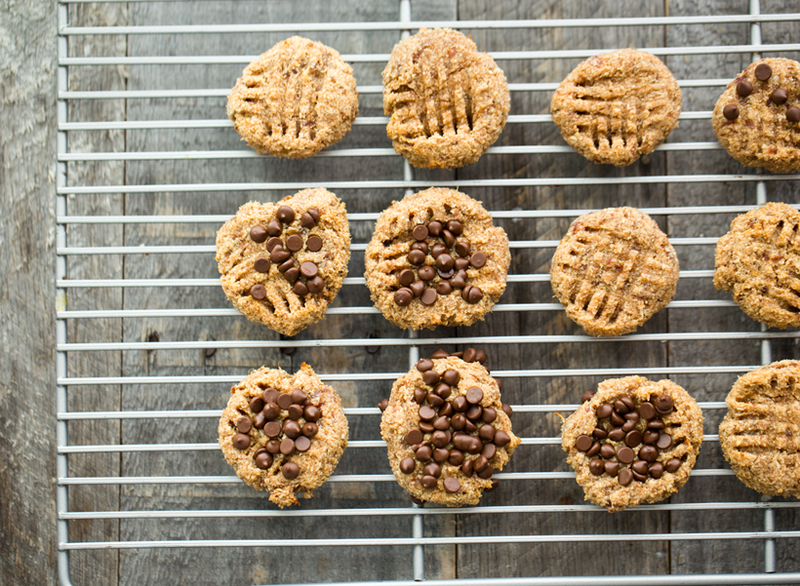 Press down on the cookies with a fork, in a criss cross design. Bake cookies at 350 degrees for 9-12 minutes. Serve warm and store leftovers in the fridge or freezer. These are super as grab-n-go snacks or healthy dessert nibbles. I love them with cold almond milk. Watch my cookie-making video too.. 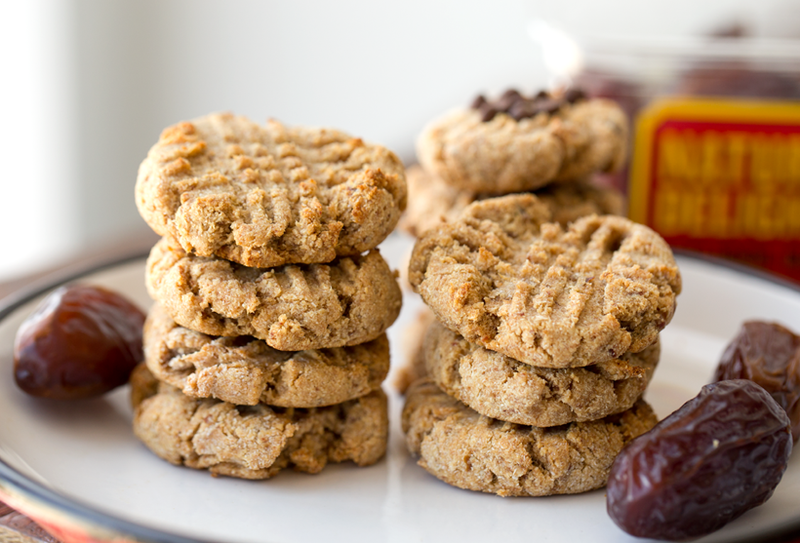 If you love Medjool dates just as much as I do, check out.. My 12 Favorite Medjool Date Recipes! Disclosure: This post is sponsored by Natural Delights Medjool Dates, but all opinions are my own.